Zach Morris and Third Rail Projects are presenting a Halloween Steampunk Haunted House in New York City. “This Halloween, enter an immersive world of churning gears, mechanical monstrosities, and steam-powered cyborgs as the Abrons Arts Center’s historic Playhouse and catacombs are transformed into New York’s first Steampunk Haunted House. Elegantly designed, and staged under the direction of Bessie award-winning artist Zach Morris, in collaboration with a team of installation and performance artists, including: Elizabeth Carena, Jesse Green, Marissa Nielsen-Pincus, Liz Sargent, Brigid C. Scruggs, Barry Weil, Kryssy Wright, and the Abrons’ Urban Youth Theater, this terrifying promenade fashions a lush, visually stunning, and fiercely designed and choreographed experience. The aesthetic of steampunk offers a fresh, romanticized spin on technology and fashion, creating an alternate, anachronistic Victorian-era that retains a pre-industrial elegance. The Steampunk Haunted House is like no other Halloween experience in the city, exploiting the more sinister aspects of the Playhouse’s early 20th-Century architecture to create a maze of science fictions. Clockwork spiders, legions of half-man/half-machine drones, and mechanized monsters and misfits manifest in eerie parlors, laboratories, and boiler rooms. Navigating dark, narrow hallways, corridors, and caverns, the audience is met with startling, stunning terrors around every turn. To coincide with the steampunk exhibition at the Museum of the History of Science Steampunk Art @ Oxford, Steampunk Magazine are organising two days of music, dance, and exploration in Oxford over 13th and 14th December. The meetings on the 13th are free and open to all, starting with a look around the exhibition and followed by a tour around Oxford’s Victorian Christmas markets. The day after there is an afternoon of dancing, where Lady Jilian Spagthorpe will be teaching a waltz, a polka, and a Regency set dance. In the evening, there will be music from Sunday Driver, Ghostfire, and The Men That Will Not be Blamed for Nothing. Ghostfire have promised a repeat performance of ‘Calibernus’ (the waltz they played at Asylum in September) while Sunday Driver are providing the opportunity to practice the Regency set dance, and The Men will be entertaining us with a polka — so that everyone has the chance to practice their new-found footwork. 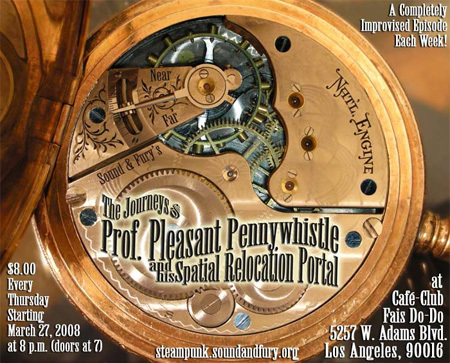 More information is available at: Steampunk Soirée. 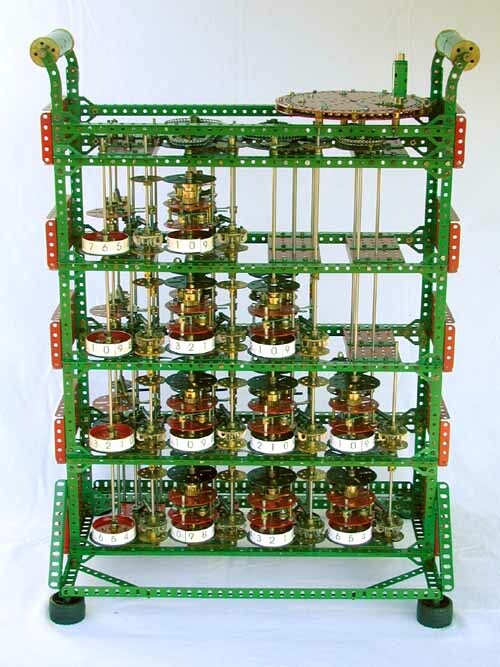 A Babbage Engine – in Meccano. Tim Robinson loves Babbage engine (don’t we all? 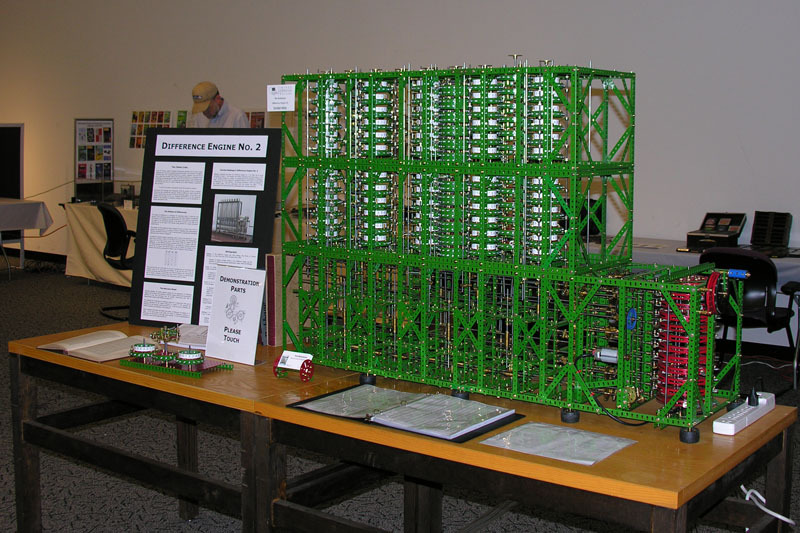 ), and has built a few in Meccano. These are working Babbage Engines, with only a few deviations from the original plan, due to the mechanical limitations of Meccano. Oddly enough, there are more working Babbage Engines today, than in Babbage’s own era, as he never actually completed construction of one. 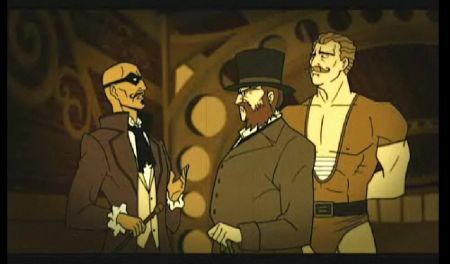 I’m not sure if anyone else here is a fan of the show The Venture Bros. (Super Scientists and Victorianists meet occasionally, I’m sure! ), but the episode on August 10th – ORB (spoilers) – had a lovely little Steampunk interlude. Not only were characters on an airship, being attacked by Nikola Tesla, but the group was a League of Extraordinary Gentlemen-esque group, composed of a lovely swath of Victoriana. Of course, I’m a sucker for well-done League references, but I also rather liked the architecture of the airship itself. It’s in a similar vein as the Three Rings Design submarine-office, that we’ve discussed previously, as well as the sheer beauty of DisneySea’s Mysterious Island. So, you’ve decided that your Steampunk outfit won’t be complete without a pocket watch, and you’ve started to look around for a nice vintage one to use. What should you be looking for? What should you watch out for? What exactly is that watch you’ve found and is it a good one? Hopefully this first episode of ‘The Horlogical Steampunk” will start to answer those questions. 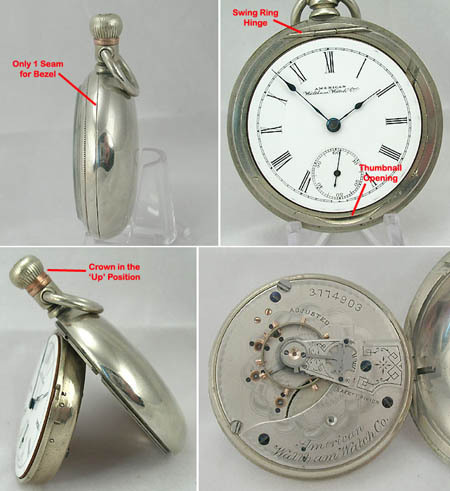 In this episode, I’ll discuss the most visible component, the pocket watch case. 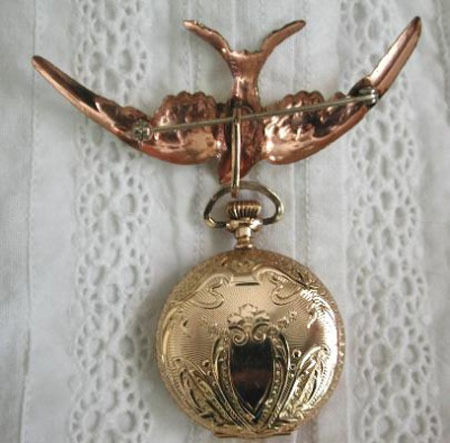 Wearing your pocket watch – Part 2. 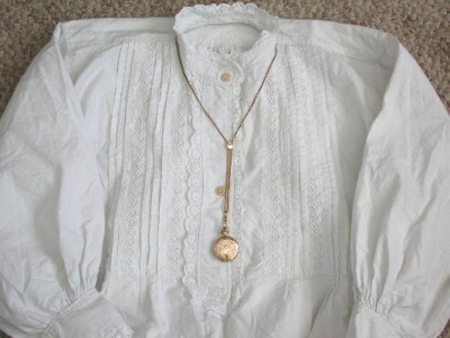 As promised, this time out, we will look at options for ladies who wish to carry a pocket watch in a more traditional manner. In Victorian times, you had basically two options, the lady’s long slide chain, or a watch pin. Let’s look at the lady’s long slide first. The lady’s long slide was originally developed in Germany, for women field workers. 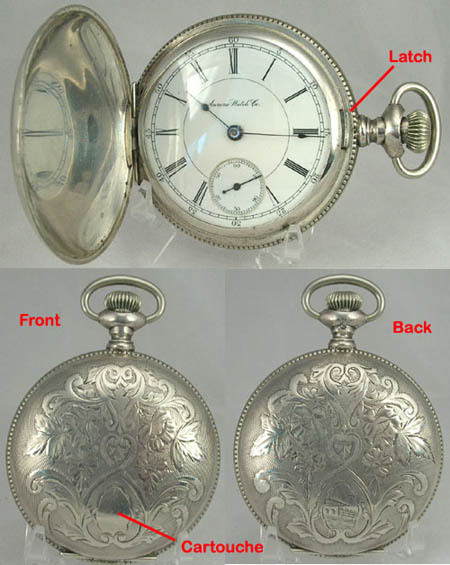 The suspended watch would fit in a apron pocket such that when they bent over the watch would not fall to ground and be damaged, thus saving an expensive repair. 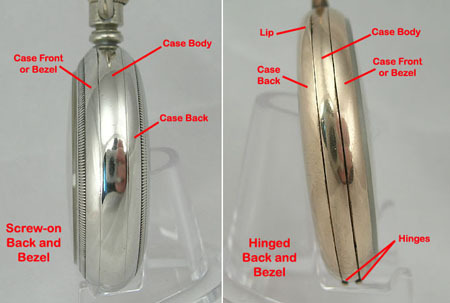 One end of the chain has a watch swivel, and there is a decorative slide in the middle. The slide alliowed for adjustment of the chain to different lengths. 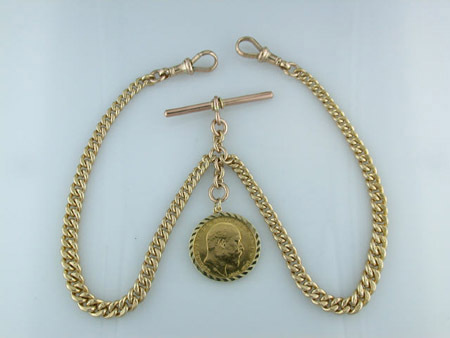 These chains could also be used for a necklace by attaching a pendant to the swivel. I’ll have a Foster’s, please! 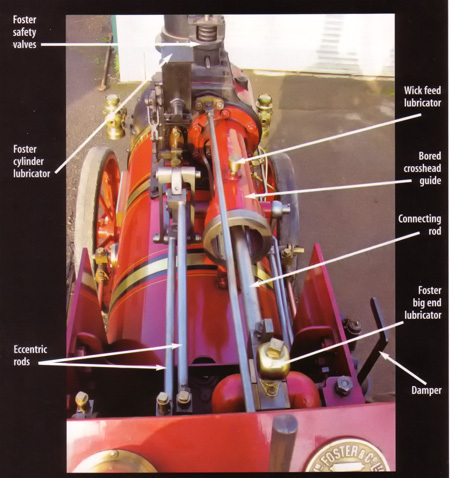 Just when you thought your wallet was safe, along comes a company that is building steam tractors again. 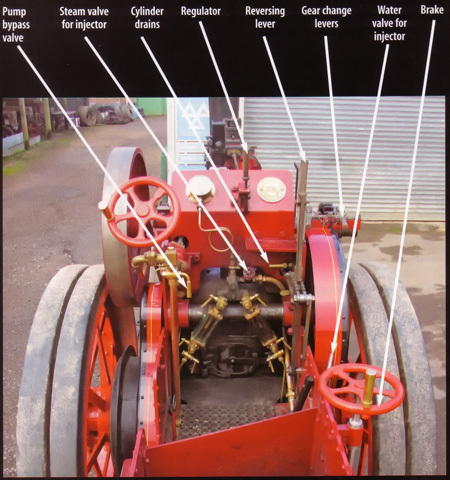 Its been more than 70 years since these were being manufactured, but once again, there is a builder in the UK producing new steam tractors, to the original specifications, but with modern materials. These new tractors fully comply with the current UK and EU steam regulations. 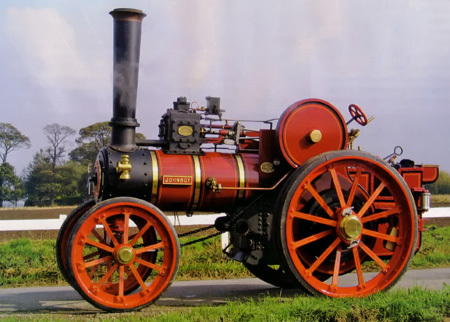 The engine pictured is a new build 1904 Foster “Wellington” 7hp tractor, by the firm of Dawson’s of Bicker, in Lincolnshire. Dawson’s purchased the rights to the name “WM. Foster of Lincoln” and their tractors will be numbered from the last used original Foster engine number. Build time for this particular engine was just over two years, and the cost? Well, lets just say its one of those “If you have to ask, you can’t afford it” things. Seeing as how this will be my first post, I figured I’d start off with something so spectacular that it would be an offense to the very aether itself. After a disappointing couple of minutes, I realized that that wouldn’t be as easy as I had initially hoped so I’ll have to settle for this instead. If you’re anything like me, you read the first couple of pages of The Five Fists of Science and were instantly envious of Nikola Tesla and his plasma guns. Well, my dear comrades, envy no more for RMC Cybernetics has come to your aid with instructions for a DIY Plasma Gun! They estimate the cost to fall anywhere between $150-$200 depending on whether or not you use new or used parts but I think for another $50 it can be cleaned up to look like something presentable. At the low voltage they provide instructions for, your body acts as the ground so there’s little to worry about in terms of danger. 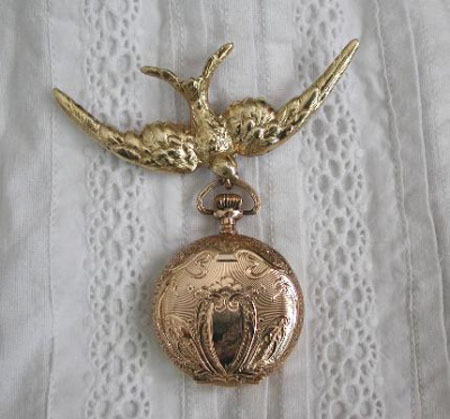 Wearing your Pocket Watch – Part 1. 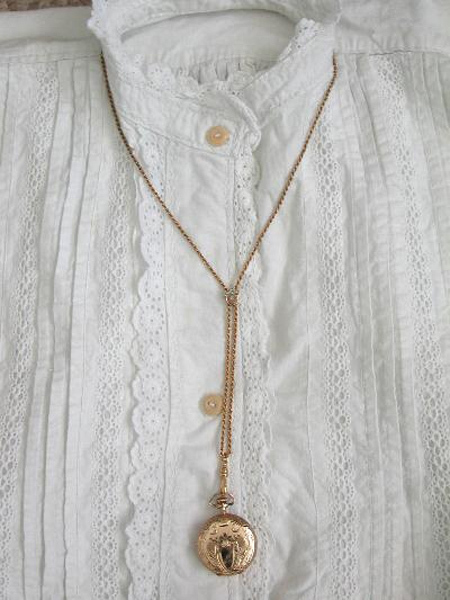 Perhaps one of the most desirable Steampunk garb accessories is the pocket watch. 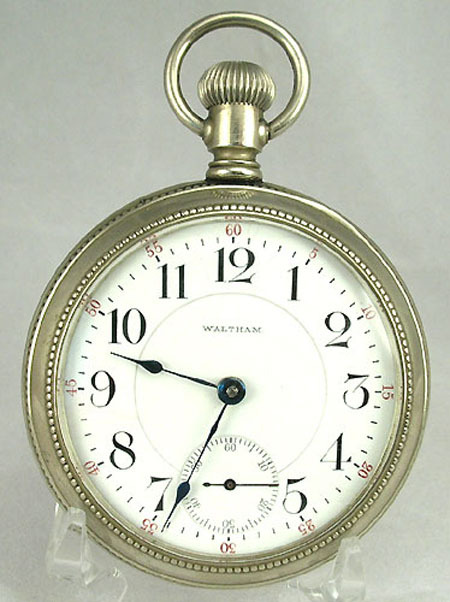 A pocket watch certainly adds a classy and retro element to any attire. But, how to wear them, you may well ask? The answer lies in the variety of chains that were common in the Victorian era. 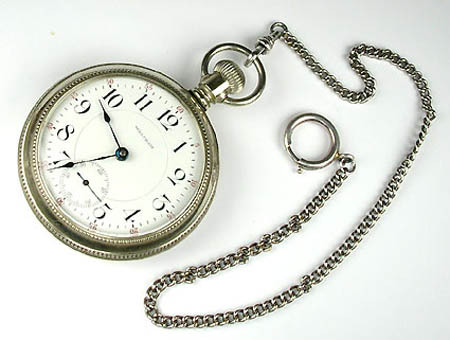 A watch chain is a necessity, especially with a vintage mechanical pocket watch. 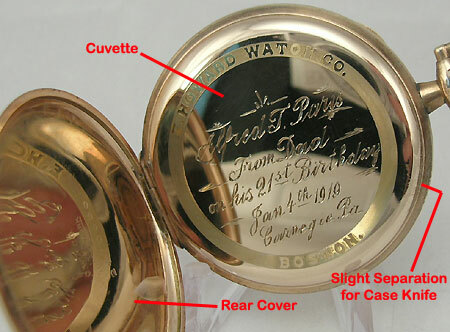 Most older pocket watches have no built-in means of protection against shock for the delicate balance shaft. Dropping your watch meant an expensive repair.